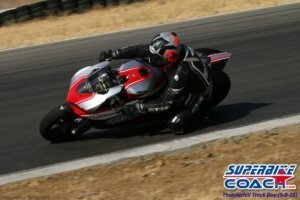 There are lots of misunderstandings about how to setup a motorcycle suspension setup, and I’ve seen questionable work from even supposed specialists. Those specialists make riders believe that one click on the front rebound could lower lap times by 7 seconds… yep, I’ve really experienced this. Stuff like this is totally off reality of course, especially as I still saw his bike bouncing around on Thunderhill Raceway- totally out of balance. 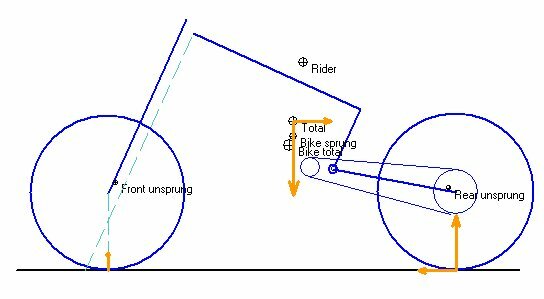 In fact i believe that an intermediate to advanced rider don’t even feel the difference of even 15 clicks- especially not on a OEM suspension system. If you would approach the setup with logic, you wouldn’t have to spend $50 bux to let an expert do some ‘big deal clicks’ on your stock rear shock, which are most of the time not even going nowhere. You don’t need to be nervous to do it yourself, because the range of an OEM suspension is just to small to make a significant change in terms of stability and safety of your bike. Long acceleration periods: add a chain link to use up chain adjuster recourse for a longer swing arm. There is NO “perfect” suspension setup- only the’ best compromise. A setup grows with your rider level. So when someone says “I’ve clicked you the same suspension setup as I gave to Valentino Rossi”, then this is logically not going to work for you well. Use the potential of a OEM suspension first before you buy aftermarket stuff… then you really know what it is capable of. Great info as always. Thanks Coach.